Ok don't get freaked out that "meat" is in quotes. There's no weird meat product in these, I just couldn't come up with a good name for these. Black bean balls just didn't sound right to me. I don't know, I'm open to any name suggestions! These are totally vegetarian. No meat, so that's why the meat is in quotes. Anyway, I love black bean burgers. This recipe actually started out as a burger for my little guy, but I soon realized that it was much easier to make little black bean balls. This is a really healthy and yummy finger food meal for babies 9+ months. Drain black beans and put them in a medium size bowl. Remove half of the beans and put them in a blender or food processor and puree leave the other half in the bowl. Add the pureed black beans back to the bowl. Using a lemon zester or grater, grate 3 to 4 organic baby carrots and put in bowl with beans. Add the oats and the bread crumbs and handful of cheese and mix together. Add garlic powder, onion powder, parsley, and cilantro and mix and make into little balls with your hand. Heat 2 tblsp of olive oil in a large deep skillet over medium high heat. Place black bean balls in the skillet and cook until browned and crispy on all sides, about 5-8 minutes. Remove from heat and set a few balls aside for the meal, and then freeze or refrigerate the rest. These will stay good for 3 days in the fridge and 2 months in the freezer. 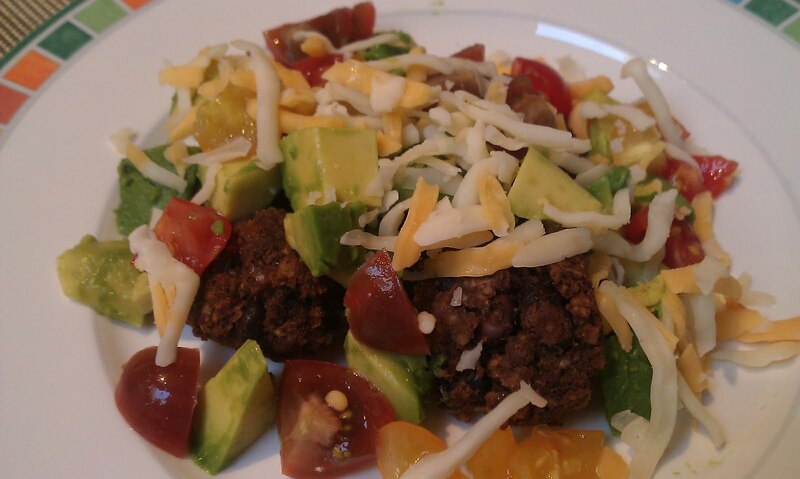 Serve cut up with diced avocado, quartered organic cherry tomatoes, and a little Mexican cheese on top. Enjoy! I made these for Katy today, and while they didn't go over well at lunchtime with the nanny, she wound up eating 3 at dinner tonight!